UPDATE: On an 8-2 vote, the Eau Claire City Council approved an ordinance on Nov. 27 that will allow city residents to keep up to five hens to produce chickens for their own family's use. The Eau Claire City Council is poised to consider a change in city ordinances that would allow for the keeping of chickens on residential properties within city limits. The last time chicken legalization was discussed by the council was in 2010, and the measure failed in an 8-3 vote. Acting President Andrew Werthmann was one of the three supporting votes at the time, and he is the only remaining member of the council who was involved in the vote. Werthmann has been collaborating with property managers, the Hmong Mutual Assistance Association, the Eau Claire City-County Health Department, and a pro-chicken group called Eau Claire Leaders for Urban Chicken Keeping (ECLUCK) to draft an ordinance that takes the needs of all involved parties into account. It considers the results of other community’s adventures in allowing urban chicken keeping, he said. “This is really about us becoming a more self-sufficient community,” Werthmann said. He believes chicken keeping is an avenue to food security, a tool to defend against the rising cost of living, and a way to improve access to healthier food. Werthmann has also mentioned the potential of urban chicken keeping to reduce tick populations in the area. A public hearing on the proposed ordinance was scheduled for Monday, Nov. 26 – the day this issue of Volume One went to press. The council was slated to vote on the matter on Tuesday, Nov. 27. The updated ordinance would allow Eau Claire residents to keep up to five hens per year, with an explicit ban on roosters. Once an application for a poultry license is made, the city would notify all owners of property within 100 feet of the applicant’s property. Owners of abutting property would have the option to object to the issuance of a license, which would be determined by the city. The ordinance would also establish guidelines for raising and slaughtering the chickens in a sanitary, safe way. This includes creating standards for storing food, building and maintaining coops, circumstances of slaughter, and providing a minimum of space for each bird. 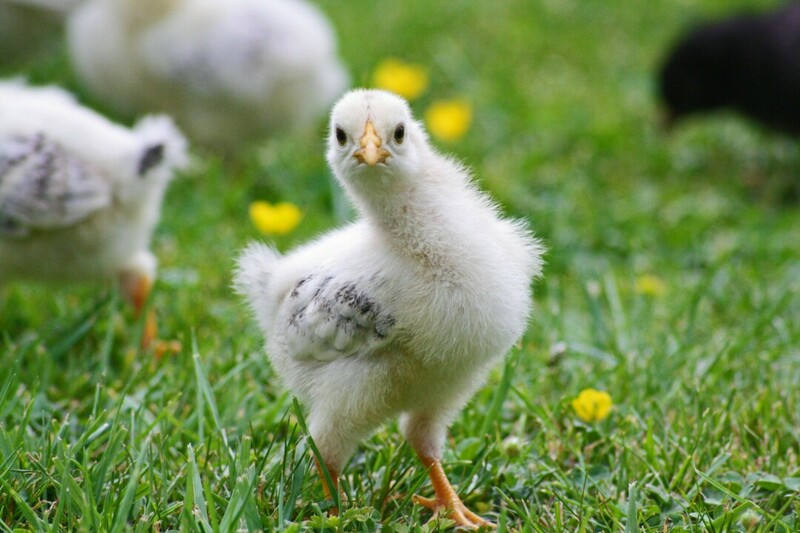 A fee that will cover the cost of associated city inspections would accompany the application for a poultry license. In subsequent years, poultry owners would need to apply for renewal of the license, likely at a reduced rate, Werthmann said. As the ordinance is currently written, city and health department staff would have the power to enter a building, structure, or property associated with a poultry license whenever they deem it necessary to determine compliance with the poultry ordinance. If passed, the ordinance will take effect Jan. 1. “Growing our own food is in our DNA, it’s in our culture,” Werthmann added, speaking to Eau Claire’s history with agriculture.